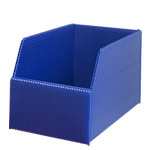 Lightweight, durable corrugated polypropylene stacking boxes. 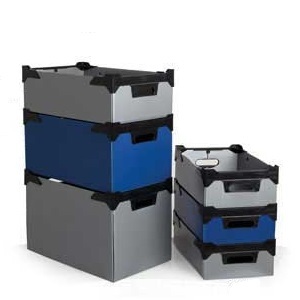 Storage is really important in any workplace; it helps to keep spares, tools and other small items tidy and off the floor, which also improves health and safety issues. Finding things becomes much easier too, as boxes can be clearly labelled, making it easy to locate specific items. 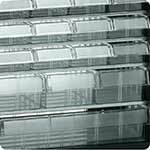 Polypropylene stacker boxes, sold in packs of 10 are ideal, as they stack on top of each other to maximise the space available. 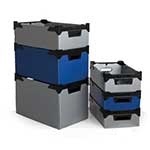 With so many sizes available, there is sure to be a storage box to suit any requirement and range of items. Tools can be kept in larger boxes, while smaller parts, such as nuts and bolts, can be kept in the smaller ones. 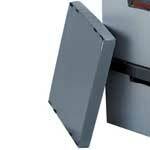 SBP112 - Product to be used on-site for ease of moving equipment around. SBP230 - Good, strong boxes. Easy to put together. 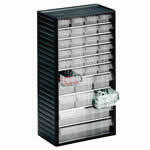 SBP330 - The boxes are great - but a little tricky to put together, but very sturdy once assembled.